A man suspected of carrying out five separate sexual assaults on women in Oxford is being hunted by police. They were committed in Marston Ferry Road and Lime Walk between November 2017 and January by a man riding a bicycle. In all five cases women were touched inappropriately by a skinny white man in his early 20s, police said. 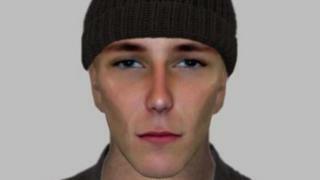 Thames Valley Police has issued an e-fit image of the suspect, who was wearing dark clothing and a beanie hat. The first assault happened in Lime Walk on 15 November, while the other four assaults were in Marston Ferry Road on 6 December, 11 January, 18 January and 28 January. Police said on 6 December a 45-year-old woman was passed by a cyclist who touched her, stared at her for a few seconds, then cycled away.